You lose control of your car and wake up in the hospital from your neck to your toes. This is the story of one unfortunate young man named Kristopher Boesen. Kristopher experienced a life-shattering moment when his car spun out of control on a slippy road, and slammed into a tree. Doctors told Kris’s parents that the majority of his body would likely never fully function again. After only 3 weeks of therapy, Kris started showing dramatic signs of improvement in functionality. Within two months he was able to start writing his name, answering the phone and operate a wheelchair fully. He has regained significant improvement in his motor function. 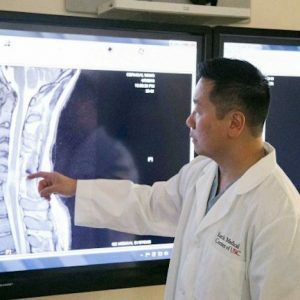 Kris has recovered two viral spinal chord levels which have made a huge difference in his ability to move. It was a massive difference between almost no movement on his own, to being able to function independently. Kristopher has regained this incredibly important aspect that has allowed him to be independent for the first time in so long. 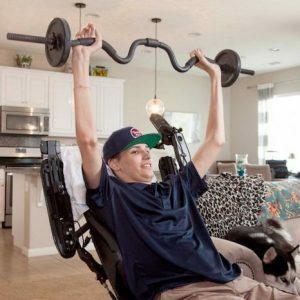 Although it is hard for doctors to promise that Kris’s condition will continue to improve, they are continuing to experiment with stem cell research with the hope they will be able to fully restore the bodily function to paralyzed people everywhere. So far they’ve made huge steps forward in their vital research and will continue to improve the lives of those who are suffering. Stem cell research is continual and is being used to improve the lives of those suffering from others things than paralysis; from Parkinson’s to diabetes and cancer.